There was a time when workout clothes were only seen in the gym or sports field. Nowadays, you can go just about anywhere and women wearing active clothing as everyday wear. Heck, there are stores where that is all the salespeople are wearing. Let’s get this straight, not all womens active wear pants are created equal and should not be allowed in malls etc. 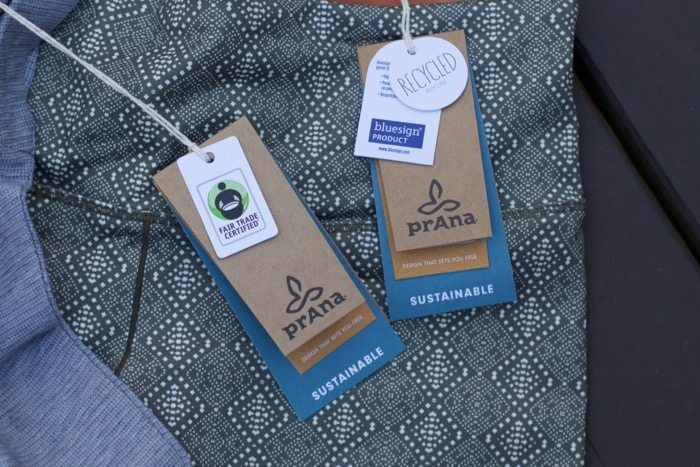 As one of my favorite brands, we are thrilled to highlight prAna’s activewear to our awesome readers. Who Wants a prAna.com Discount code? Find it at the end of the post. prAna pants come with a guarantee that they’re not see through, and they have a variety of fits to fit all body types. Just like jeans, there is not a one size fits all. If you have ever taken a yoga class and have to turn the other way because someones activewear pants are showing more than the pattern? 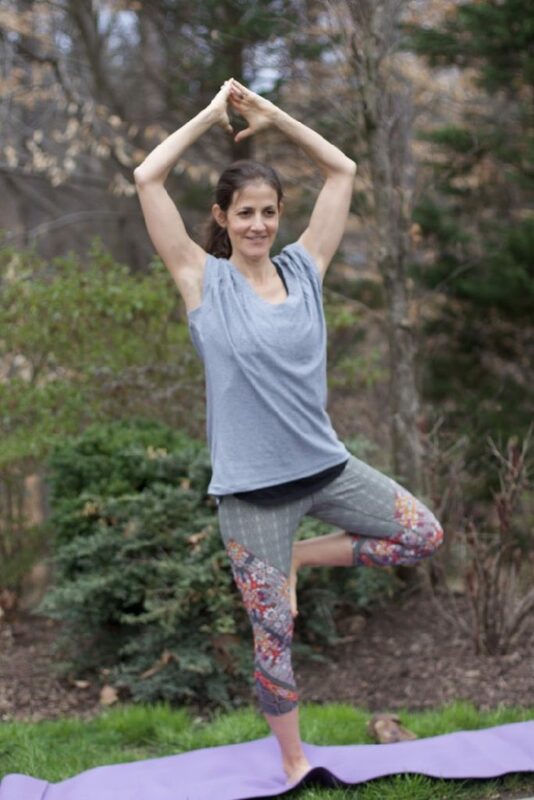 Check out these super fun Leda pant and Constellation tee both made from hemp, organic and sustainable. 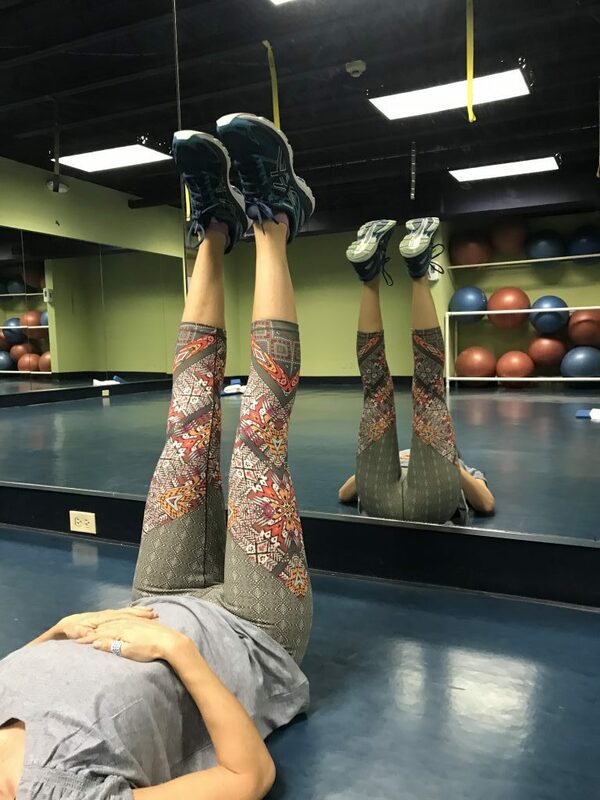 The Leda Pants are super comfortable and with a second layer, there is no seeing beyond the pattern in these babies. My underwear did not feel like it was riding up and the waist was the perfect height on my 5’3′ body. I did get the cropped version. I totally could see myself wearing these with some flip flops for a casual lunch with friends. The Constellation tee ran a big. I typically wear a small in prAna clothing but this was rather baggy. Since it’s made of cotton my guess is that it will shrink slightly and the fit perfectly. I would not work out in this shirt because of a) too baggy b) too cute! I love the scalloping in the back, making plain athletic tops into a fashionable t-shirt. It is the perfect shirt to wear over a workout tank before and after your work out, or simply with a pair of shorts. I received several compliments on my pants while at the gym and I could have worn them all day if I didn’t get so sweaty. So from yoga to TRX to walking the dog I will definitely be buying more Leda Pants to add to my workout collection. Heck, I probably can start thinning out some less stellar active wear pants. Get 15% off any non-sale prAna items ordered on our website. It will be valid from 3/6 through 4/6. Use code AEMLS18. Do you wear active clothing outside of the gym? I am using prAna activewear for years and I love them. These are perfect for every exercise and yoga. I am so happy with my purchase. Thanks for sharing. I don’t have much for active gear but it’s my favorite comfy choice of style. I need to buy from prAna, I am loving all of the reviews and selections they have. Going to go peek at their line now to see what active gear may appeal to me to have. Great company and great prices! Actually, I just purchased some new active wear for yoga class. I also have a few sets from prAna. I love them! Each garment fits so comfortable and I like their style of activewear clothing. Having the right gear, apparel included, can make or break a workout. The prAna also looks like great option when my friends wear it. Time for me to get my own, especially when I can save with your code. I don’t wear much for the pants but LOVE the prAna dresses and the skirts. My favorite! I wear active wear all the time, especially yoga pants! / leggings. prAna Leda pants look like something I would be comfortable in, I will have to order a pair!